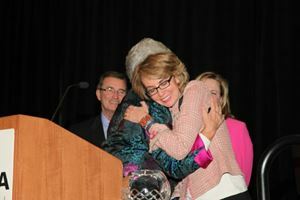 Gabby Giffords gives Shirley Agnos a hug upon receiving her award. 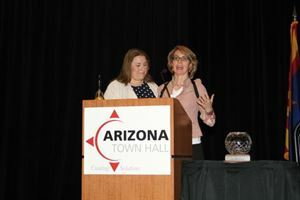 Gabby Giffords accepting the Shirley Agnos Legacy Award. 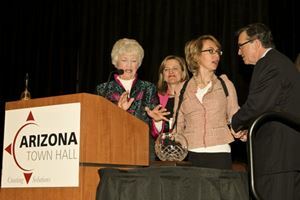 Gabby Giffords and Shirley Agnos Legacy Award. 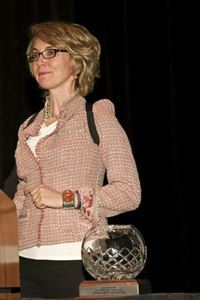 Gabby Giffords being presented a Kachina. 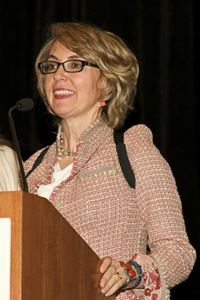 Gabby Giffords receiving Shirley Agnos Legacy Award. 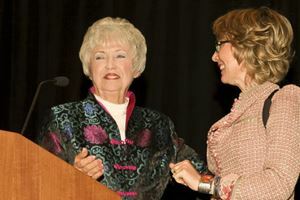 Rabbi Stephanie Aaron and Gabby Giffords. 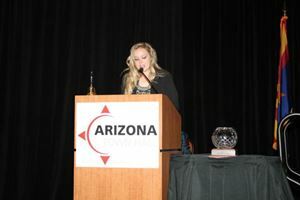 Tara Jackson introducing Shirley Agnos Legacy Award speakers. 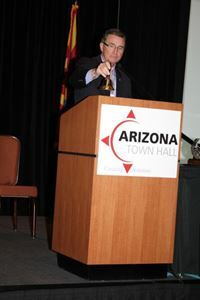 Board Chair Ron Walker rings the Town Hall bell to open the luncheon session. 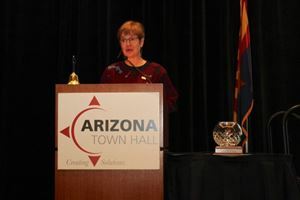 Carol West sharing her thoughts and experiences with Gabby Giffords at awards luncheon. 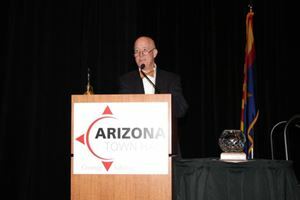 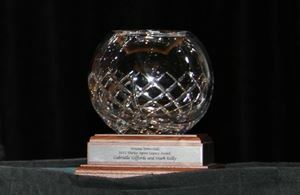 2012 Shirley Agnos Legacy Award being presented to Gabrielle Giffords and Mark Kelly. 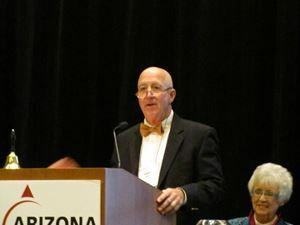 Hank Peck sharing his thoughts and experiences regarding Gabby Giffords. 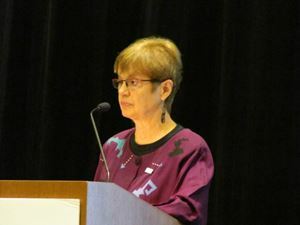 Carolyn Lukensmeyer sharing her thoughts and experiences regarding Gabby Giffords. 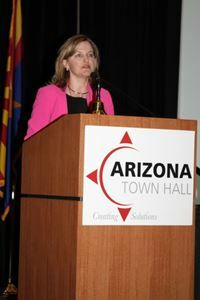 Isabella Leavitt sharing her thoughts regarding Gabby Giffords. 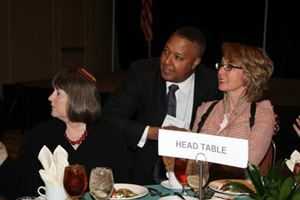 Ron Walker, Shirley Agnos, Tara Jackson, Gabby Giffords. 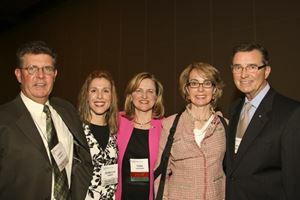 Manny Gonzales, Gabby Giffords and student participants. 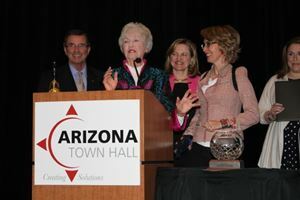 Ron Walker, Shirley Agnos, Tara Jackson and Gabby Giffords at presentation ceremony. 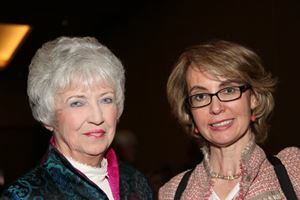 Shirley Agnos and Gabby Giffords. 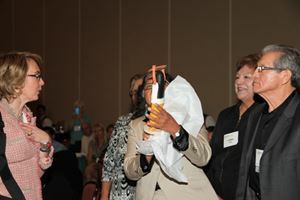 Shirley Agnos, Tara Jackson, Gabby Giffords and Ron Walker at presentation ceremony. 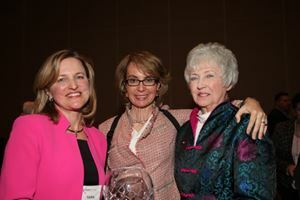 Tara Jackson, Gabby Giffords, and Shirley Agnos. 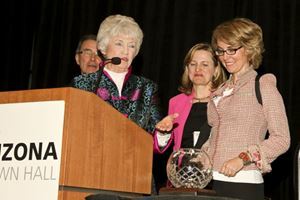 Tara Jackson, Gabby Giffords and Johnson Bia. 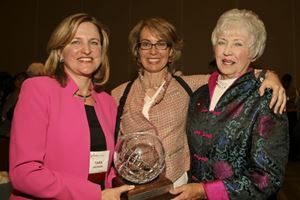 Tara Jackson, Gabby Giffords and Shirley Agnos. 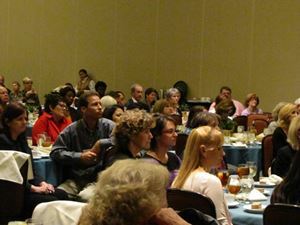 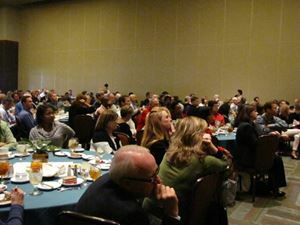 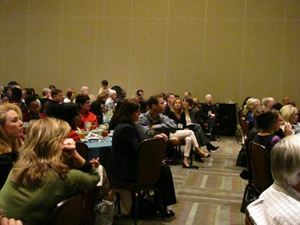 Luncheon attendees at Gabby Giffords award luncheon. 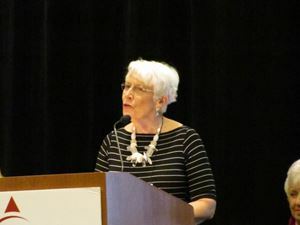 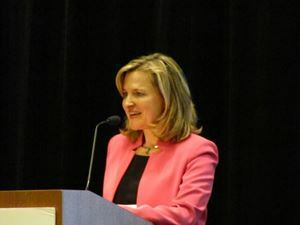 Carolyn Lukensmeyer shares her thoughts on Gabby Giffords at Awards Luncheon. 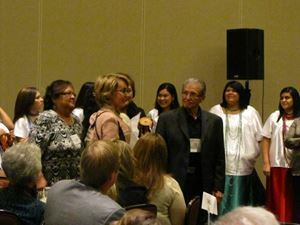 Gabby Giffords accepts Kachina from Salt River Pima-Mariciopa Indian Community. 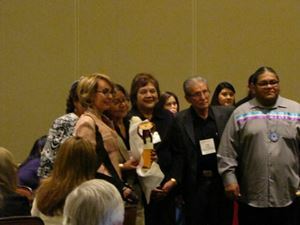 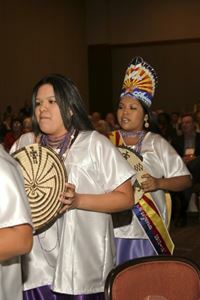 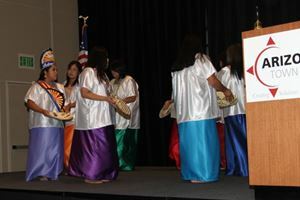 Gabby Giffords receives Kachina from Salt River Pima-Maricopa Indian Community. 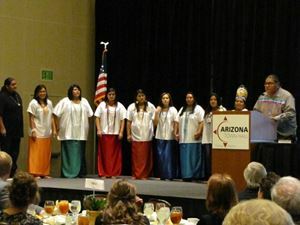 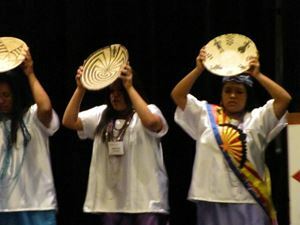 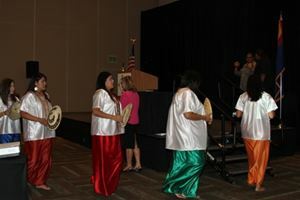 Tara Jackson introducing the Salt River Traditional Dancers. 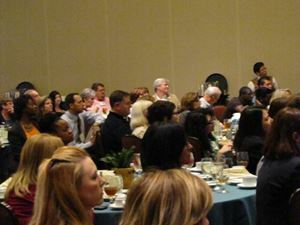 Hank Peck and Shirley Agnos at Legacy Award Luncheon. 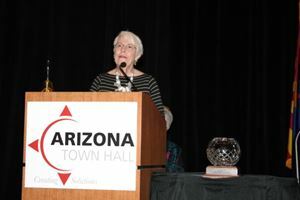 Carol West speaks about Gabby Giffords at Shirley Agnos Legacy Awards Luncheon.